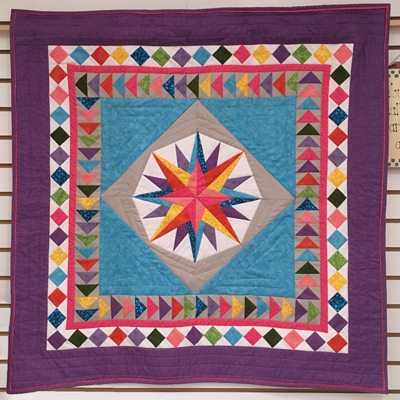 Dig into a more complex paper pieced Mariner’s Compass, then learn how to calculate and attach two pieced borders in a round robin fashion. The class requires the book 60 Pieced Quilt Borders. This book is a good reference for adding pieced borders to any size quilt. 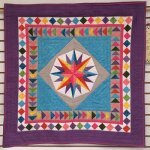 You will learn how to calculate the size of the border, the quilt and the “spacers” between the two to ensure a perfect fit every time.